Robert Carlson, the archbishop of St Louis, MO, has circulated a two-page letter to his flock in which he raises the question, "Can I still buy Girl Scout cookies?" Mr Carlson is angry that the Girl Scouts advocate for access to birth control ("even for minors"! ), and that they exalt the likes of Gloria Steinem. 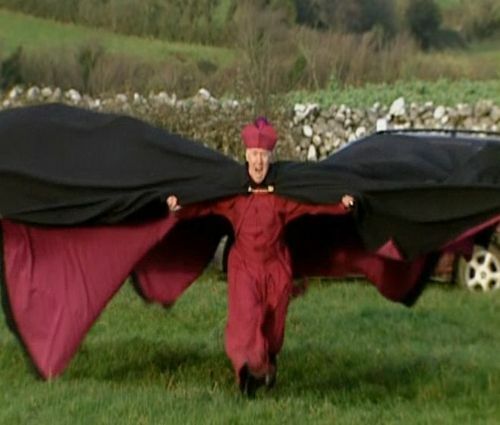 The Archbishop doesn't actually tell Catholics not to buy Girl Scout Cookies, he just lays out all the ways in which the Girl Scouts are on a fast track to eternal damnation, then exhorts his followers to "act in accord with their conscience." Among the things that conscientious followers are exhorted to do: expel Girl Scout troops from churches, replacing them with religious societies. The Scouts are keeping it classy: "We remain committed to building girls of courage, confidence and character, who make the world a better place." Though he does not order an immediate severing of ties with the Girl Scouts and their cookies, Carlson does urge each pastor in the region to consider ejecting them from Catholic property and replacing them with other forms of social networking for young female parishioners. Some 4,000 Girl Scouts are currently understood to meet on Catholic premises in St Louis.